The significance of Palm Sunday is proclaiming the kingship of our Lord Je­sus Christ. The significance of Palm Sunday is proclaiming the kingship of our Lord Jesus Christ. 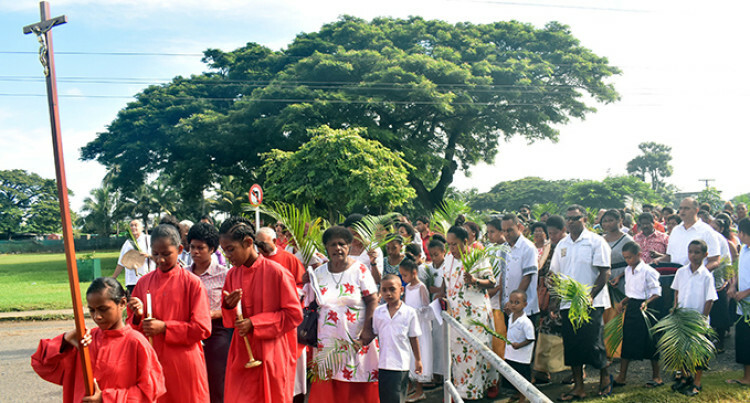 The comment made by the Nadi Saint Michael’s parish spokesman Manueli Daveta during Palm Sunday celebrations at Saint Michael Parish in Nadi yester­day. Mr Daveta said that Palm Sunday was a special Sunday for all the children and it was significant because it was the procla­mation of Jesus Christ as the King. “The significance of Palm Sunday is proclaiming the kingship of our Lord Je­sus Christ,” he added.